True story: Getting your own Barbie is kind of a big deal, so we were quite intrigued to see that a major blogger announced on her Instagram over the weekend that she's now a Barbie (and perhaps the coolest one yet, in our opinion). The blogger receiving the huge honor? Why, Chiara Ferragni, naturally. The Italian It girl, who currently resides in Beverly Hills when she's not traveling the world, is the highest-earning, arguably most widely-known blogger, and 6.5 million Instagram followers prove she's practically a household name. Ferragni, who founded The Blonde Salad and her own namesake accessories line, gave a sneak peak of the doll on her Instagram account, and it couldn't be more stylish. She wears some of Ferragni's signature pieces, including a leather moto jacket, crop top, and ripped jeans. Being the fashion-loving gal that Barbie is, it goes without saying that a real-life fashion blogger is a natural choice to add to her arsenal of stylish friends. After all, this isn't Barbie's first foray into the blogging world, as fashion blogger Barbie was released in 2014 and has her very own Instagram account, @barbiestyle, for her #OOTD posts. For the record, she has an impressive 1.5 million followers. 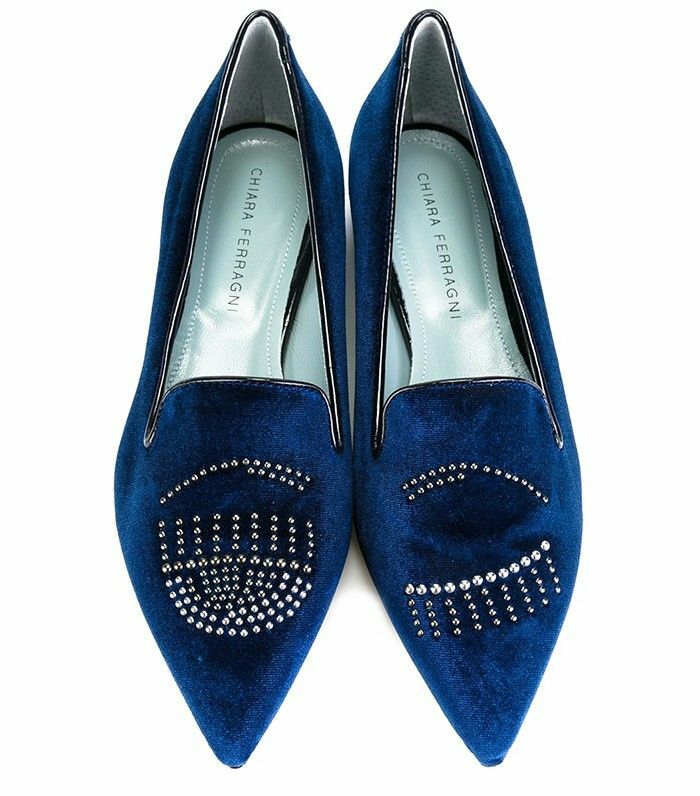 Keep scrolling to see Ferragni's Barbie and shop pieces from the Chiara Ferragni Collection. It doesn't get more luxe than dark blue velvet. Ferragni takes many selfies holding this cover. Pair with high-waisted jeans and sneakers, just like Ferragni would. Your basic black loafers have nothing on these. Which other bloggers are deserving of their own Barbie? Comment below!